Conspiracy thrillers don't come any bigger or better than THE KEY - from the author of the bestselling thriller debut of 2011, SANCTUS: 'Plenty of action, plenty of intrigue and wonderfully imaginative. The sort of novel to devour in one sitting' Kate Mosse. She knows she entered the monumental Citadel at the heart of Ruin but can remember only darkness. 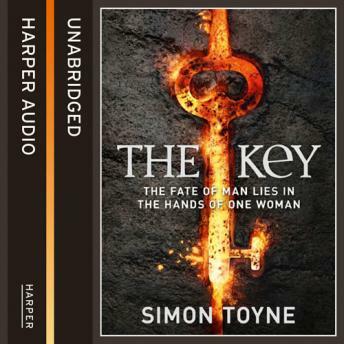 Something strange is stirring within her, whispering that she is 'the key'. But the key to what? For the Ghost, a mercenary operating in the Syrian Desert, Liv could unlock one of mankind's most potent secrets. For the brotherhood in the Citadel - now cursed by a terrible plague - her return is the only way to ensure their survival. And for a powerful faction in Rome, she threatens the very future of the Catholic Church.